Why do so many new managers struggle? Perhaps my own story of life as a squash professional can help shed some light on the matter. 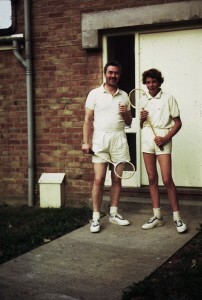 When I was 12 my parents became the management team for Blackheath Squash Club (sadly no longer there). From that moment on I literally lived and breathed the game. I played every day, even our house was a converted squash court. I was also fortunate enough to have an ex world champion as a coach. Abu Taleb was 3 times world champion and 3 times runner-up in the 1960s. He was so good he could place a ball anywhere on the court and that’s what he did with me. Every time it started to look like I was getting to the ball a bit too easily, he pushed it another few inches further out. I must have run miles. There’s a story there about how coaches take their protege´s out of their comfort zone to support development, but that’s for another day. With such a privileged start, I quickly got pretty good and in my early 20s I found myself playing and coaching abroad in Stuttgart, Germany. I had my own apartment in the city centre, all my equipment was given to me and all I had to do was play a game I loved – and I was paid to do it! I was so lucky, but at the time I didn’t know it. Whilst out in Germany I had a call from the owners of a squash club in the UK. They wanted me to run a new squash club they were building in Kent. To me, this sounded perfect. I would get my own club, follow in my parents footsteps doing the thing I loved most and would still get paid. what more could I want? I flew back to the UK, signed on the dotted line and looked forward to getting my hands on my shiny new club. I was swamped by all of the responsibilities, managing the bar, social events, the teams and of course, the other staff. The job began to unravel and a few months later we parted company. My squash playing deteriorated. I was working 50-60 hours a week trying to get to grips with a job I was never prepared for. The one thing I could say I was actually pretty good at, was no use to me and consequently I lost the edge. Due to the nightmare experience of those few months, I stopped playing altogether. I had lost my passion for the sport. Fast forward to the present day. I now understand why my squash management career was so short-lived. Unfortunately, so many organisations still make the same mistake, promoting people into management roles based on their technical abilities. Too often, the new manager’s performance drops, stress levels rise and everyone loses. Even the biggest organisations make this mistake. Google’s Project Oxygen uncovered their own errors in using technical ability as a key factor in promoting people into management roles. 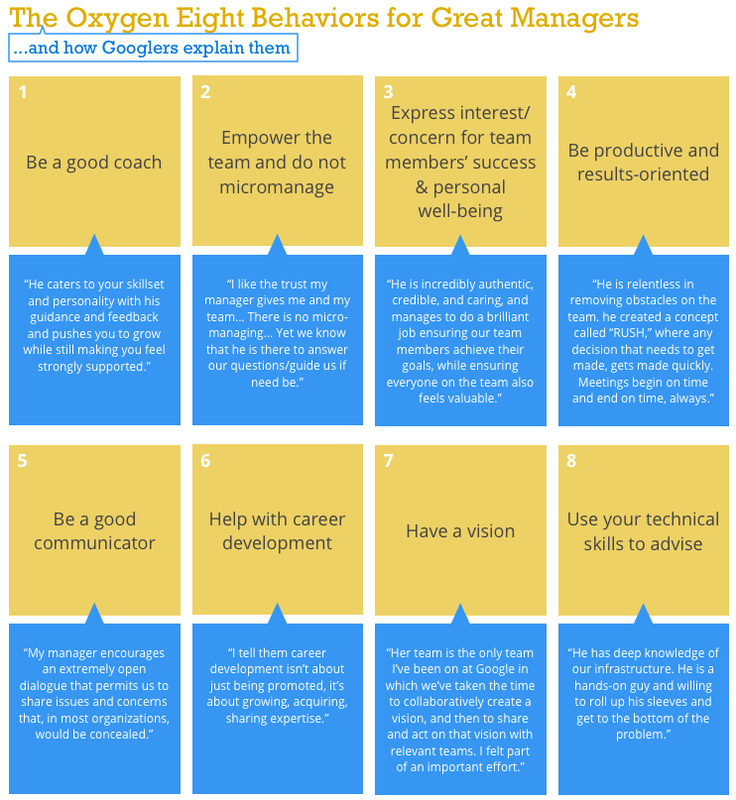 What Google discovered is that technical ability ranked last in the top 8 behaviours of their best managers. They also discovered that the top behaviour was to be a good coach, so maybe I had some of the basic qualities to be a good manager, but never got the coaching myself. Here’s the complete list and links to NY Times and Forbes reports on the Google’s work. How do you develop your current and importantly, your future managers? What criteria do you use? I learned the hard way. Don’t make the same mistakes as me, or my squash club bosses. I’d love to hear your own story, how have you managed your career?